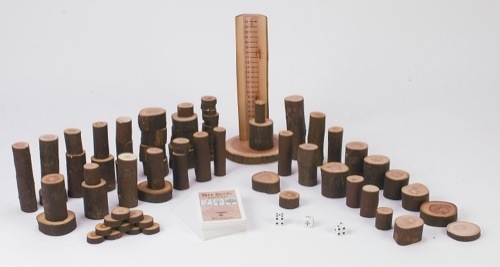 The tree block math kit includes 2 dice and a 96 card activity deck. 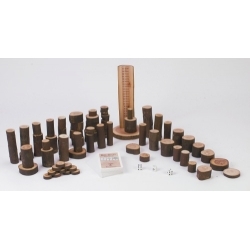 It is a great learning toy to help children grasp basic mathematical concepts. The card deck has 3 difficulty levels.